Canadian Showtime Chorus® is a competitive singing group for women, specializing in a capella four-part harmony. A charter member of Sweet Adelines International (SAI), this 106 member chorus ranks in the top 20 of more than 600 choruses worldwide. The Chorus was formed in 1982 to pursue musical excellence in the art of a capella four-part harmony and to share the joy of this music genre through public performances. It is the dream of any musician to experience performing on the stage at Carnegie Hall. 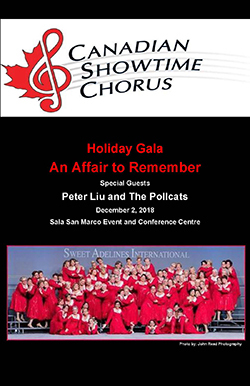 This dream came true for the vocal musicians of Canadian Showtime Chorus on May 27th, 2011. The trip to Carnegie Hall was a nine month journey, starting in September last year when the chorus was invited to perform in New York City. Much planning was undertaken, logistics worked out and money set aside to make this experience come true. May 19, 2011 Ottawa, Ontario. Next week, 65 members of Canadian Showtime Chorus will travel to New York City to sing at a special concert at Carnegie Hall on May 27, 2011. The Chorus will be featured on the evening's program with a set that takes a musical journey through the year. 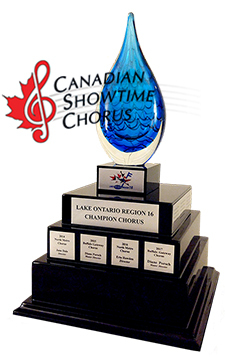 Canadian Showtime Chorus Headed to International Competition in Hawaii May 2, 2012 Ottawa, Ontario. Ottawa's Canadian Showtime Chorus is the 2012 Sweet Adelines Region 16 Champion, following competition on April 28th in Syracuse, New York. This qualifies the Chorus to compete at the International Competition level in Hawaii in 2013! Join Canadian Showtime on the links! Grace Kelly-Dresch of Canadian Showtime Chorus (Region #16) was honoured to represent the Royal Canadian Mint in the Olympic Torch Relay on December 21, 2009 in Welland, Ontario Canada. Grace was the first name drawn, of ten, at the Mint's corporate meeting in March 2009. 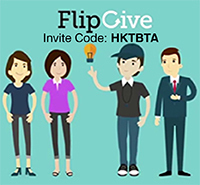 Employees were asked to submit a completed questionnaire pledging how they would make Canada a better place. Grace vowed to dedicate more time to volunteering at the Ottawa food bank. Canadian Showtime Chorus helps set a NEW Guinness World Record for the Largest Singing Lesson! Members of Canadian Showtime Chorus were delighted to participate in the achievement of a new Guinness World Record set on Oct. 24, 2009 at 7:30 p.m. 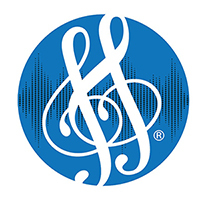 The record-setting event coincided with the 63rd annual Sweet Adelines International Convention and Competition held at the Sommet Center in Nashville, TN.